We are staying in Frensham, Surrey for the weekend visiting my son James, his lovely wife Naz and our two grandchildren, Easa and Noah. 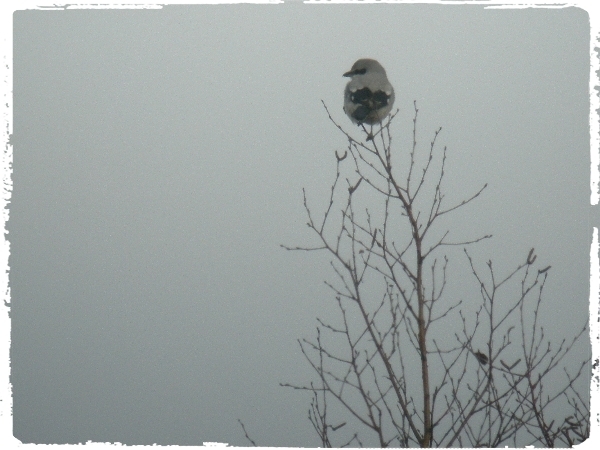 A cold but dry morning enticed us out for a morning walk on the local common we were looking for the over-wintering Great Grey Shrike. It was 10am by the time we started our walk and it was almost freezing as we set off. It took a while to find a single bird but our first species was a good one. We heard two or three WOODLARKS singing before we actually located them, they were flying up in display and perching on the tops of dead trees. Soon after, James found the SHRIKE, it was distant but it showed well, I couldn't get near it for a decent picture because it kept moving further away. 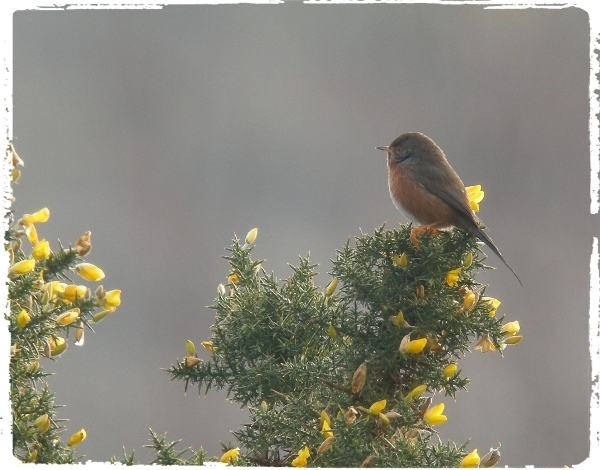 Just after finding the shrike we saw a DARTFORD WARBLER sitting on the gorse, the sun came out for a short spell which kept the warbler long enough in place for me to take a few snaps. Apart from a distant Common Buzzard, a few Carrion Crows, some Mallards and a flock of Canada Geese not much else was seen. 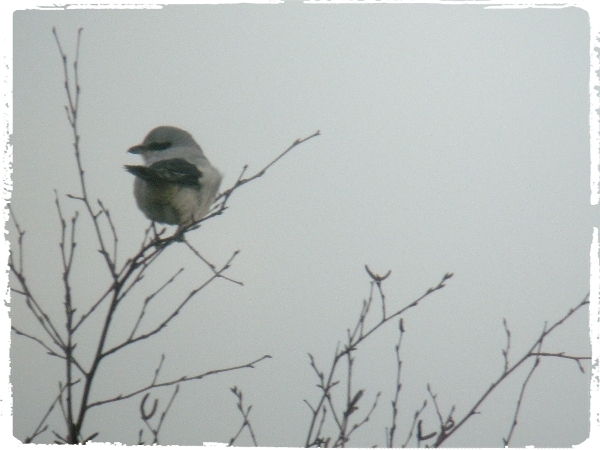 James walked back to the car park whilst Dawn and I went to get closer to the Shrike. A Common Snipe was flushed by James and later in the morning he saw a Red Kite flying over Frensham.